Just when this season looked to be spiralling out of control for Manchester United, Ole Gunnar Solskjaer took the wheel and got the Red Devils Express back on the tracks.​ But for how long? The mood around the club after Jose Mourinho's inevitable exit in December was utterly miserable. Star players wanted out, fans had grown weary, and there was a fear that the club was falling into mediocrity. They needed a calming influence to put things back together, and they certainly found that in Solskjaer. The baby-faced Norwegian has made everyone feel wanted at the club, restoring the fans' faith in the hierarchy. However, once the high spirits die down, he will find himself out of his depth, and you only have to look at his tactics to see it. A quick glance at the average positions of Manchester United vs. Crystal Palace this season. Former boss Louis van Gaal earned himself a few more enemies around Old Trafford by claiming that ​Solskjaer's style of play is i​dentical to that of Mourinho, and the Dutchman is not wrong. Solskjaer's ​United are geared around pace and running, and it just so happens that he has some of the world's best talent at his disposal. Solskjaer arrived at Old Trafford, made sure ​Marcus Rashford and ​Anthony Martial knew they were two of the world's top youngsters, and then left them to play football. If you haven't noticed, they're pretty good at that. They run to put pressure on defenders, they sprint back to track forwards and then they burst on the counter with terrifying speed. That's all well and good, but teams eventually find a way to stop fast sides from moving, and the Red Devils have already shown signs of losing their upwards momentum. They have fallen to defeats against both ​Arsenal and ​Wolverhampton Wanderers, and their 2-1 win over ​Watford on Saturday was anything but convincing. Did they win that game because of their tactical superiority, or did they just boast the best players on the field? Teams are beginning to figure out Solskjaer's style, and he must find a solution soon. That's not to say that Solskjaer is a poor leader. He is a marvellous man-manager, and his impact on the mentality of his squad is clear to see. Players are at their best when they are happy, and the jovial atmosphere around Old Trafford is evident. There's a reason United have been winning games - they've got some really good footballers who love what they do. But positivity is only half the battle and, if you look at ​Chelsea between 2011 and 2013, you can see it only gets you so far. The Blues fell apart, they brought in legend Roberto Di Matteo to steady the ship, and the Italian brought ​Champions League glory to Chelsea. However, the optimism quickly vanished as teams figured them out, and Di Matteo was sacked just eight months later. 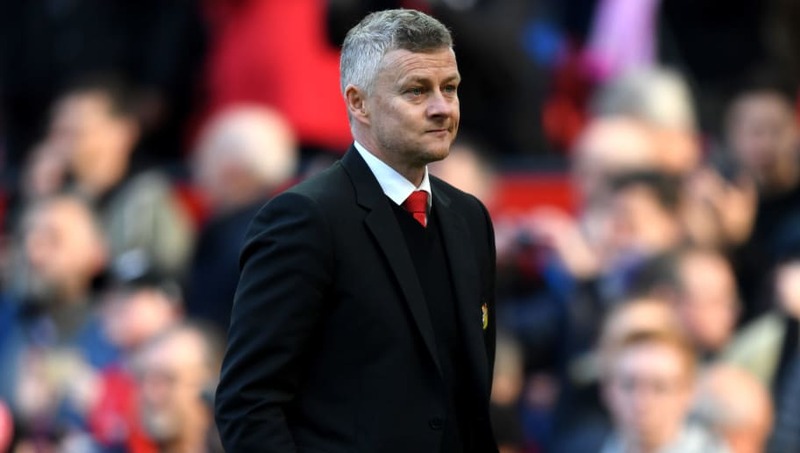 Solskjaer could certainly avoid that fate, but he must find a way to develop his tactics. The talent of his stars will carry him through many problems, just as it did against Watford, but that won't work every day. If he cannot add more to his managerial arsenal, there may well be someone new at the wheel in the near future.